When it comes to dietary staples, some things are very easy to find without plastic or single-use packaging, and others, not so much. Fresh fruit and vegetables? Easy. Fresh bread? Ditto. Milk, cheese and yoghurt? Not so much. One of the most common questions I receive during Plastic Free July is “where do I find milk (or cheese, or yoghurt) without plastic?” I faced this struggle at the beginning of my own plastic-free journey back in 2012. If you’re looking to find milk, cheese or yoghurt without plastic, here are my solutions. You’re unlikely to find milk in bulk or milk in glass at the supermarket. But that doesn’t mean that it isn’t available in your area. The first places to look would be independent grocery stores, farm shops and health food shops. If you don’t see anything, ask the question – they may not stock any themselves but they may know where does stock it. Alternatively, they may know which brands are plastic-free – and if you know who makes it, it will be far easier to track it down. In Perth, there are four different brands which sell milk in glass: Sunnydale, Grumpy Farmer, Over the Moon Organics and Bannister Downs. They can be found at IGA stores and independent grocers like the Boatshed and Farmer Jacks. No one store sells all four brands, so you have to do your homework and check out all the stores. Secondly, try Farmers Markets and farm gates. Some farmers sell milk directly to customers and use a refill system, dispensing with single use bottles altogether. This is fairly common in New Zealand. Thirdly, you could look for hobby farmers and people who keep their own milking animals. I live in a city, and I have friends (who live in the city also) who keep goats, and other friends who keep a milking cow. I know that might be a step too far for many, but if you really want a solution, don’t rule this option out. These things are more discoverable by word of mouth, but social media is a good place to start. Something I did was supplement my dairy milk with nut milk. I realised that it was much easier to find cashews or almonds in bulk than it was to find dairy milk in glass, so I began to use nut milk with cereal and in baking. Making your own nut milk is really simple, and you can find instructions for making DIY cashew milk and almond milk here. If you can find milk in glass, there’s every chance that you will also be able to find yoghurt and cream in glass too. I have seen yoghurt for sale in glass and also in ceramic pots in supermarkets. However, I’d recommend looking in independent grocers, health food stores and farm shops for more options. If you can’t find it, you might like to know that yoghurt is actually very easy to make yourself. All you need is milk and a yoghurt starter culture (which actually is just a tablespoon of live yoghurt). A thermometer is useful, but it’s possible to manage without. You definitely do NOT need any fancy gadgetry, such as a yoghurt maker. A glass jar wrapped in a tea towel will be fine. Here’s my DIY tutorial for how to make your own yoghurt. Homemade yoghurt will typically last 3-4 weeks in the fridge. If you can’t find yoghurt in glass, consider buying the biggest tub rather than the individual pots and portioning it up yourself. That will create less waste overall. If you like flavoured yoghurt, you can make it yourself by blending a little sugar and fruit with plain yoghurt. Cheese is the easiest of the three dairy products to find without plastic. Most supermarkets will have a deli section, but if not, look for local independent stores, farmers markets, specialist cheese shops and other grocers. Some deli counters will have paper to wrap cheese, so you can ask for no plastic. Many will let you bring your own containers. Some types of cheese are sold in brine (mozarella, feta) or by weight without packaging (ricotta, cream cheese). These are the easiest types of cheese to buy without packaging, simply by bringing your own containers. Smile, act confident and tell the person behind the counter than you’d like to use your own containers as you are avoiding single-use plastic. Often, your success hinges on the way you do it. Acting like you do it all the time boosts the confidence of the person behind the counter to accept your request. Also, stating what you’d like to do rather than asking adds another degree of conviction. “I’d like to” is much more convincing than “is it okay to..?” If they say no, act surprised, but if they are truly insistent, don’t push. Almost everyone will say that’s fine. It’s worth mentioning why (no single-use plastic) because staff won’t necessarily realise why, and will wrap your lovely container in gladwrap for “protection” – or pop it in a bag! Many types of cheese are bought in large wheels or blocks, and will be pre-cut and wrapped by the store to save time. If you can only see pre-wrapped cheese behind the counter, ask whether you can have a piece cut fresh from the block, or whether you can leave your containers there for when the next batch is cut. Some pre-packaged cheese can be found wrapped in wax rather than plastic. Most of these waxes are made from paraffin (which is sourced from petroleum). 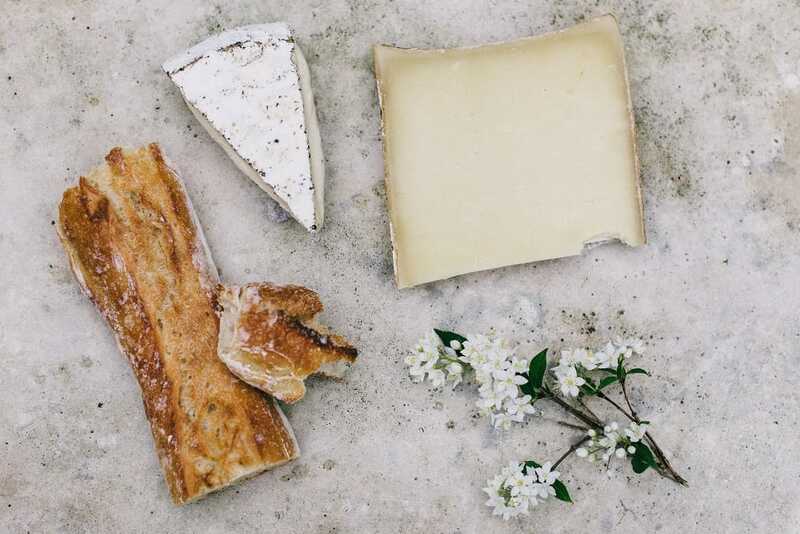 Studies have shown that paraffin wax can be broken down in the presence of Rhodococcus sp so if you do buy these cheeses, try composting the wax. If you’re still having no luck, consider buying the biggest block of packaged cheese you can find (it will mean less packaging overall). Cheese freezes really well, so you can, freeze what you don’t need straightaway. Bagged grated cheese is all packaging and very little product, so avoid these products and grate your own from the block when you get home. (A food processor with a grater attachment is very useful if you use a lot of cheese. If you’re less fussy, whizzing it through the food processor will also work.) The same is true for cheese slices – it will take less than 30 seconds to slice a block and save lots of packaging, as well as money. Something else to consider is making your own. Ricotta, mozzarella and halloumi are all incredibly simple to make using milk, and your cheese will be ready in 1 – 3 hours. Labne, a soft cheese made from yoghurt, is also super easy to make. If you’re not confident to make your own, look into cheese workshops in your area. If you feel like you’ve exhausted all these options and you still don’t have a solution, don’t stress. Look at choosing products with the least amount of packaging overall, and ensure that whatever packaging you do choose is recyclable in your local area. Remember, there are so many ways to reduce our waste in all areas of our life. Milk, cheese and yoghurt are just three things that we consume. There are plenty of other things to work on! Don’t let not finding these items without plastic be a reason to give up altogether. Much better to focus on the 97 other things that we can change than stress about the 3 that we can’t. Now I’d love to hear from you! Is this something you struggle with, or not? What solutions have you found? Have you had a go at DIY and how have you found it? Do you have any DIY tips to share? Anything else to add? Tell all in the comments below! 66 Comments • Leave a comment! Thank you for this lovely article! I have to find these solutions in Dubai. Good luck Marita. I find that once you start looking, there are options everywhere! Thanks Lindsay, for another very useful and timely article. I have also found milk powder at bulk stores, and yoghurt recipes using milk powder. Glass containers: Pyrex, Weck, Ball, etc. Kendra, I use cheese paper to wrap the cheese in, and then place in a glass container like Pyrex or, preferably Weck or Bormioli. I’m having no luck with yoghurt from milk powder. How do you do it? How do you freeze cheese and other items without plastic? Hi Kendra, Emilie answered your question in one of the above comments. My neighbours love beeswax wraps for storing cheese, and you can freeze in that too. Or glass containers (jam jars, Pyrex, other options are available). Hope that helps! Thanks, Lindsay, think the US much more uptight about so called “health” regulations, sadly, re bringing own box etc. also veg and fruit……don’t get me started…….broccoli, cauliflower, celery, all berries (though did see loose cherries the other day) ALL wrapped! Hooray for farmers markets right now! I’ve found a small natural Grocer with milk in glass and returnable bottle. M&L Meats in Kenwick sell the Sunnydale milks in glass including flavoured milk! Thank you for this, Lindsay. This was exactly my question yesterday – especially the yogurt. Although not for breakfast, I decided to eat sauerkraut later in the day. That way I get some of the ‘fermentation’ microbes – although different ones – that I would otherwise get with yogurt. Making headway, and forced to think up new ideas. It helps that I told my whole family so they are also, at the least, noticing how much plastic they use! How about for us folks in the USA… any sugestions for Heavy Cream… ? It seems like even the small farms using glass bottles still use plastic caps, I remember when I was a kid that there were paper caps on the glass milk jugs … but no more. I am also wondering if the paper cartons that you see in the big and small store aren’t lined with a plastic film…. they say that these are recycled,,, but what happens to that pasky plastic linning that I suspect they all have??? Hi John. I’m not sure what heavy cream is, but the same principles apply. Try new places, ask questions and don’t give up ;) Glass bottles with plastic lids are better than 100% plastic bottles, so that is a great start. Those paper cartons do have plastic linings, yes – and I am not sure what happens to them. I am told they are put in the paper waste stream, shipped to Asia and then someone will pull them out. What happens next I don’t know… I need to smuggle myself inside one of these containers to see for myself! You may know “heavy cream” as “double cream” as in the UK. Thanks Allison. I know in Australia we don’t use the term “double” cream. Maybe it;s thick cream? Haven’t bought cream in years! Although one thing I remember about Australian cream versus UK cream – Australian cream has (or used to have, at least) gelatine in it! You don’t see that in the UK! Thank you for sharing this. Buying dairy products without plastic has been our biggest challenge and the last plastic remaining in our shop. perhaps your tip about acting confident and like I do it all the time I will try next time! Pleasure! When cheese gets delivered it will have the company branding on the packet, often it is a bigger version of the individually wrapped store stuff. Ask the questions – ask to see the big wheels or whatever they have. 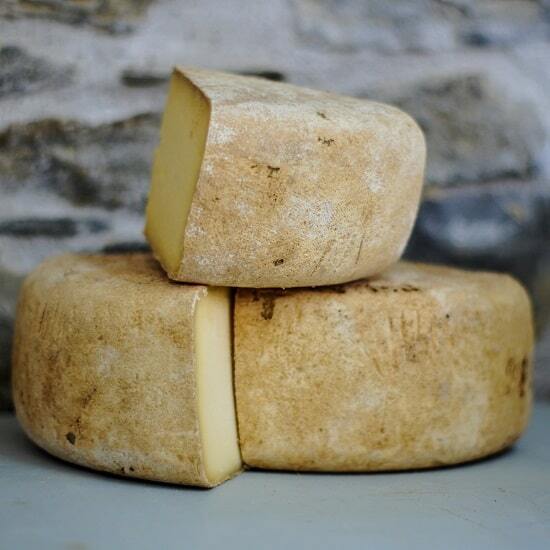 Typically hard cheese uses animal rennet, the softer ones tend to use it less. I often see tofu blocks loose in the fridge at Asian supermarkets. You can put in your own containers and they charge by the block/square. I agree with Bec, there are quite a few places that sell in loose in Perth and it is priced by block so no need to tare the container first. I would try Asian grocers, and if they don’t have it, ask if they know where does. Good luck! There is UNT tofu in the Asian section of the supermarket, haven’t tried it yet though so can’t confirm if it is nice or not. If you can’t find it loose somewhere, would she be open to something different? I saw a recipe for ‘chickpea tofu’ which I am sure you can google that looks a LOT easier than making it from soy beans. Thanks for the article Lindsay. Dairy is indeed the hardest to buy plastic free. I live in Switzerland and I did find a bulk store where they sell local yoghurt in bulk, I could just fill my glass container, it was perfect. That shop seems to have milk in glass bottles, with a deposit, but they were all sold. I need to go back and investigate. I use waxed cloth for buying cheese, with the added bonus that the cheese keeps better than in plastic wrap! Overall I’m pretty happy with the plastic free july improvements and should be able to turn some into lasting habits. Hi Claire – wow, that sounds like a perfect solution! Lucky you :) As you say, dairy is the trickiest to find without plastic – and if you can sort that, that’s a huge step in the right direction! Thank you so much for sharing. Hi from Cairns! I dream of this tropical paradise becoming sustainable. As a start I’m looking forward to the plastic bag ban that starts here on 1 July 2018. I’m doing plastic-free July but we have made a major exception in buying plastics that are recyclable, basically because of the milk issue. We buy both cow’s milk and milk alternatives (rice milk etc). The alternatives come in those plastic-lined recyclable cartons and the plastic lid doesn’t have a recycle symbol on it. So this article has motivated me to look for milk in glass, try milk powder or make my own from almonds. I’ve been buying cheese that comes packaged in wax, and also you can buy marinated goat’s cheese and fetta in glass jars (we buy Meredith Dairy brand in the supermarket). I have avoided trying delis because I’m vegetarian, but all my doubts have been answered in the comments section! The waxed cloth for wrapping cheese in – where would I get that? Is it different from the beeswax wraps used as a gladwrap alternative? Hi Julia! It’s also possible to make your own rice milk, I’ve never tried it but I know that people do. Once you’ve begun DIY you’ll never want to switch back to the carton stuff, I promise! Does anyone know if those Bannister Downs milk sachets are recyclable, & how much plastic is in them? Also, regarding milk in glass bottles, none of the IGAs or Farmer Jacks near me takes the bottles back, & I’ve been told by our local council that all recycled glass in WA is sent over east for processing as we don’t have a glass smelter here? Would that be correct because if so, that is a lot of resources being used to transport glass for recycling. Hi Jean! Redcycle have stated that they are currently accepting them for recycling. I think they are 70% plastic. You have to take the bottles back to the supplier directly – most IGAs won’t. Sunnydale have their factory door in East Vic Park. Hi Lindsay, have just joined – been doing my best to live plastic free for a while now, but I can always do better! Harris Farm Markets (at least the one here in chilly Orange NSW) has milk from the NSW South Coast (Jersey milk – yum!) that is dispensed into a 1L bottle – just like the old milk bottles. I just wash mine and go back in and get some more. No more plastic milk bottles or lid or those pesky rings, and the milk is direct from the farm. That is great to know Tarnya, I love systems like this! I saw a few when I was in NZ, glad to hear they are catching on here. Well, over on the east coat, at least! Great advise about the plastic free alternatives for dairy. I am also starting to think of making a change to non dairy products, but love natural yogurt, and because of this, am looking to find coconut yogurt (cannot stand soy) as a substitute. Is there an alternative in glass stocked anywhere you can think of? I’ve tried making my own but with limited success, or it spoils quickly, making it even more of a waste. Great post Lindsay. I’m definitely going to try that with cheese! I haven’t been able to find any plastic free milk or yogurt options here (and my family goes through a lot!) so I’ve emailed a producer that I know does milk vending machines elsewhere in the country to see if they will consider putting one here. My current strategy is to communicate a lot with different companies that brand themselves as eco to tell them I want compostable or reusable packaging. I figure if enough of us do it then they will realise there is a market. I’m new to this but I have had such good responses when I’ve taken my reusable containers to stores and takeaway places. So far no one has blinked an eyelid and its clear that they are used to doing it regularly, some of them even compliment us. Hi Mel, thank you. It’s definitely a lot to do with asking questions and letting companies know. No good us sitting here and lamenting it all and not actually telling them what we want! Glad you’ve had some successes so far! It’s reassuring to know that stores are getting more and people taking this approach! I think I need to write a whole separate post on this! Ive definitely seen both almond an soy milk in glass bottles in Perth, but I would DIY – so simple, much healthier and zero packaging. Much more cost-effective, too. Yoghurt and cheese aren’t so easy, but I’d check out small cafes and delis that sell vegan food, ask suppliers… ask questions! Hello. Im pretty suret they dont recycle milk in wa. If i switch to milk containers in glass they r still as wasteful as plastic are they not? I am successfully buying most of the dairy products plastic free now except for feta, ricotta and mozzarella cheese. I have been asking around in a few shops but even the ones that sell me unwrapped cheese can’t do those mentioned. I live in Wellington NZ. Do you have any ideas other than learn to make them myself which I have considered but not that keen on as I am already making many foods myself? Thanks! Very helpful. I’ve ordered our first 4 bottles of milk in glass! Does anyone have any tips on glass milk bottle top replacements? The foil top that comes with them doesn’t seems to stay on, and I was wondering if there are any reusable bottle caps that I could buy? Currently, I’m thinking Beeswax cloth might work, too? Hi Lindsay, you mentioned in a different post that when you bought milk you used to return the bottles. Do any of those four brands in Perth accept their bottles back? Lucy – Grumpy Farmer do – you can take their bottles back to where you bought them, and Sunnydale do but you have to take the bottles back to their dairy in Vic Park. I make milk kefir, and we no longer buy commercial yoghurt. For me, avoiding Woolies is a win! Supporting the local markets is much better for me. (I also make water kefir). I am going to see whether milk is available in glass bottles. Another challenge! The problem with cheese is that when the clerk cuts cheese and puts it in your reusable container, they still soil a pair of plastic or latex gloves that will end up in landfill. Requesting that cheese be cut outside of their normal cutting and wrapping schedule is just as bad as just buying the plastic wrapped cheese. I’m so thankful that I found this. I’ve often thought about trying to buy/use less plastic. l already have in small ways, but recently, I really decided that I wanted to try and buy things with less plastic. Then I walked around a local Coles and was overwhelmed with seeing (truely seeing and paying attention to) how much of everything seemed to packaged in plastic. It’s not something I didn’t already know, but somehow it just felt so daunting, suddenly, to try and buy less things with plastic. It just feels like it’s everywhere. So I’m really grateful that I found this. Thank you for sharing your knowledge. I don’t know if I can stop buying everything in plastic, but I feel like I have some more ideas and a better chance at using less. Do you have any tips about plant based yoghurt? Hi there – we don’t have yogurt at home all the time so I’m looking for a starter culture other than yogurt that’s not wrapped in plastic. Have you ever come across anything?! I make my own yoghurt and buy one new one every sixth or seventh batch, i used t0 get i in glass but have not been able to do so recently . We can get Victorian milk in glass in a few places now but not near us yet, i get it when i am heading into town or across town. I turn my milk cartons into tree guards and plant trees in them. I really like the idea of dispensers I have seen a few on line in New Zealand This way we could maximize reuse . My own bottles have bee washed and refilled probably 40 times maybe more . If it were close by it would be even more. Automated refill systems usually only get about six refills before bottles are replaced. . I make soya milk some times but it is very time consuming, and i prefer to eat my nuts or as nut butter . I think dairy is the hardest for my family but we have a system that works . aventaully milk in glass will make its way out to the Dandenong ranges. I very much needed to hear those last couple of paragraphs! Thank you!! I’ve been getting so frustrated that I wasn’t able to find package-free cheese, and the ones I found was way more expensive than the ones in plastic; so I almost gave up. Thank you for reminding me that any kind of effort counts!